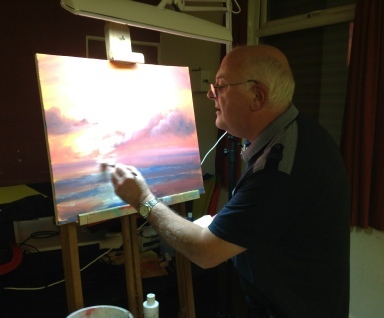 Many thanks to Paul Arnott, who stepped in at the last minute. 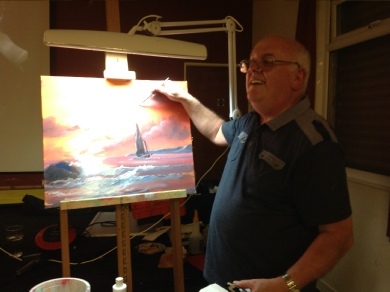 Paul demonstrated acryl gouache paints to produce a sunset scene, as shown in the photo. His demo was entertaining and presented with great humour, as always. 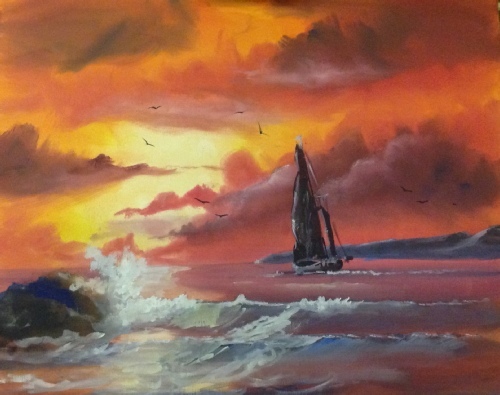 Paul shared tips and advice, drawing on his experience with this medium.